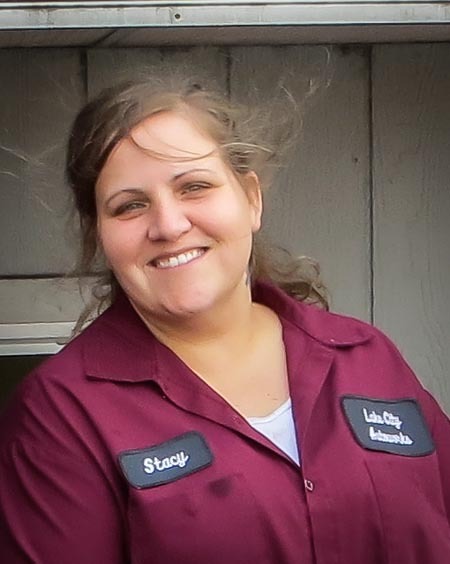 Meet Stacy from Lake City Autoworks. her own contribution to the Lake City Holiday Project, she also helped distribute gifts to clients in need last year at the Lake City Community Center. she understands and appreciates the way she and her employer can help make a difference. With her own happy memories of holiday time, singing, sharing a meal with family, she also has been able to meet the donors who come in to Lake City Autoworks and drop off their gifts. They give a big thanks to her and Lake City Autoworks. So do we, thanks Stacy. PS. Stacy confirms there are no reindeer sleighs or elves tools at Lake City Autoworks but she knows they are equally important in the story of helping children at holiday time.